The aroma smacks you in the face as you push open the door, any hint of a Sunday hangover is sucked out, you are in a happy place now. Coffee, really good coffee, like only an antipodean knows how. Let’s be honest, when you are confronted with kit as pictured above it is pretty clear that these guys mean business. 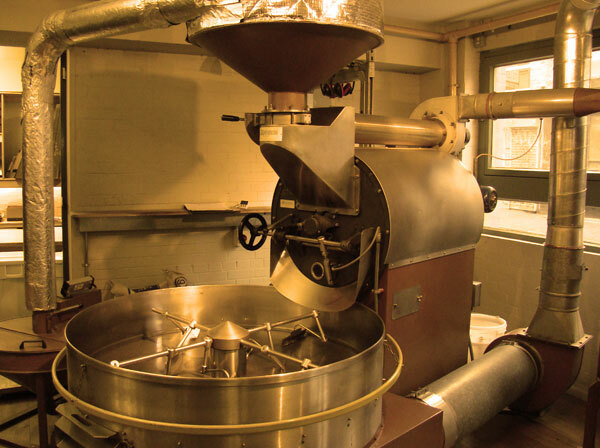 Hailing from New Zealand, Allpress Espresso has recognised the need for decent coffee in London. And needy Londoners flood this Shoreditch cafe for their caffeine fix. 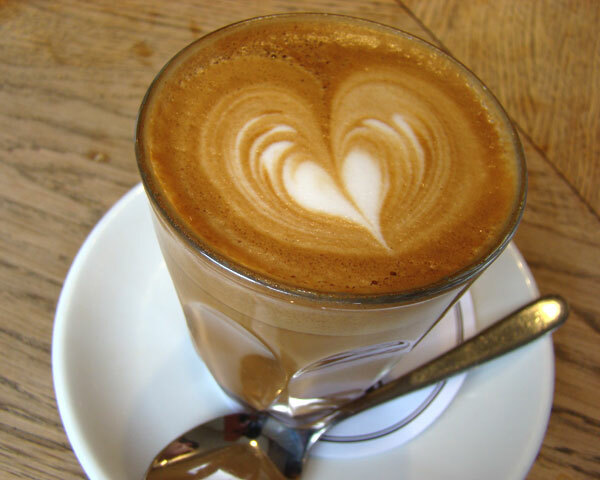 The coffee is fantastic, and since moving to London and being forced to curb my caffeine habit, when I do drink a strong, smooth, luscious latte I actually get a little giddy! The perfect accompaniment to the perfect cup of coffee is a bloody good brunch. And Allpress deliver on this front also. Fresh croissants, fruit toast, eggs your way, and a mouth-watering selection of toasted sandwiches. I couldn’t go past the breakfast plate which for me is the ultimate selection. 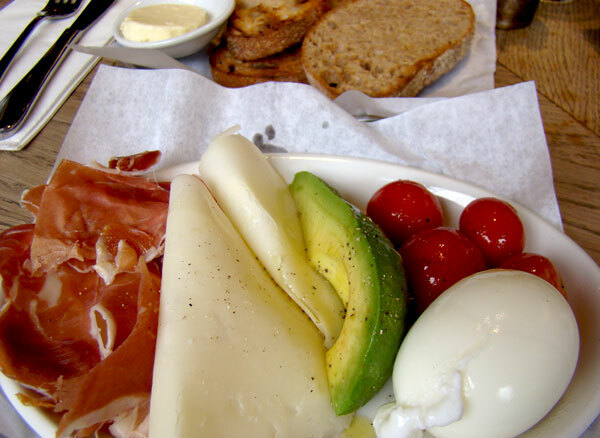 Soft boiled egg, cherry tomatoes, avocado, cheese and prosciutto with crusty sourdough toast. And for £7 it hits the spot. Equipped with a take away latte, it would be criminal to leave without one, I could feel the caffeine pumping through my veins and it is this feeling that will have to last until my next hit.